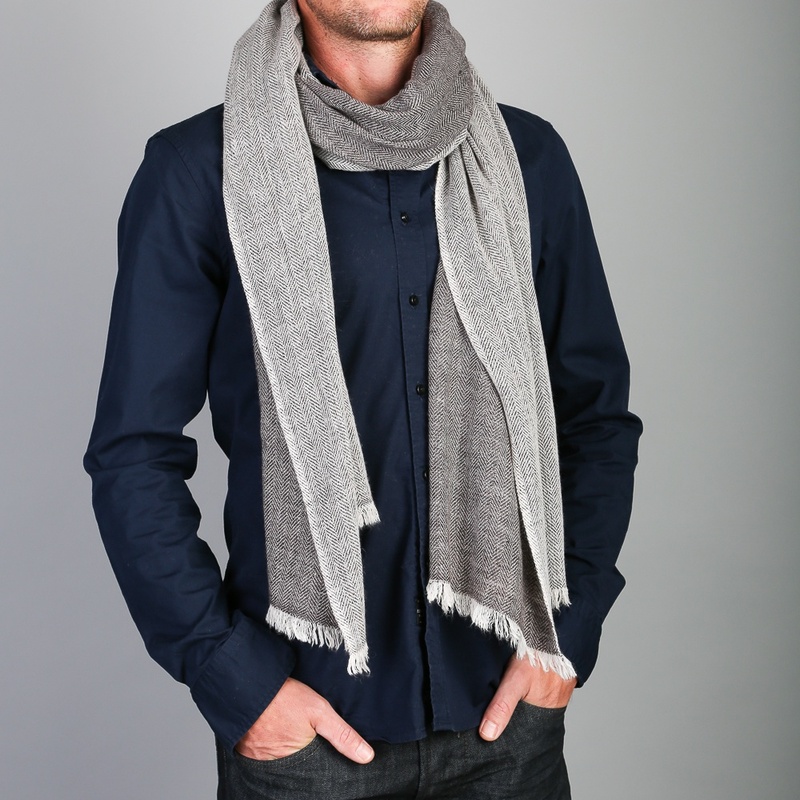 This men’s charcoal grey cashmere scarf has to be the perfect scarf and also an easy neutral colour to pair with everything. It’s just the right length so you can wrap it once and knot it, but not too wide which helps reduce bulk. 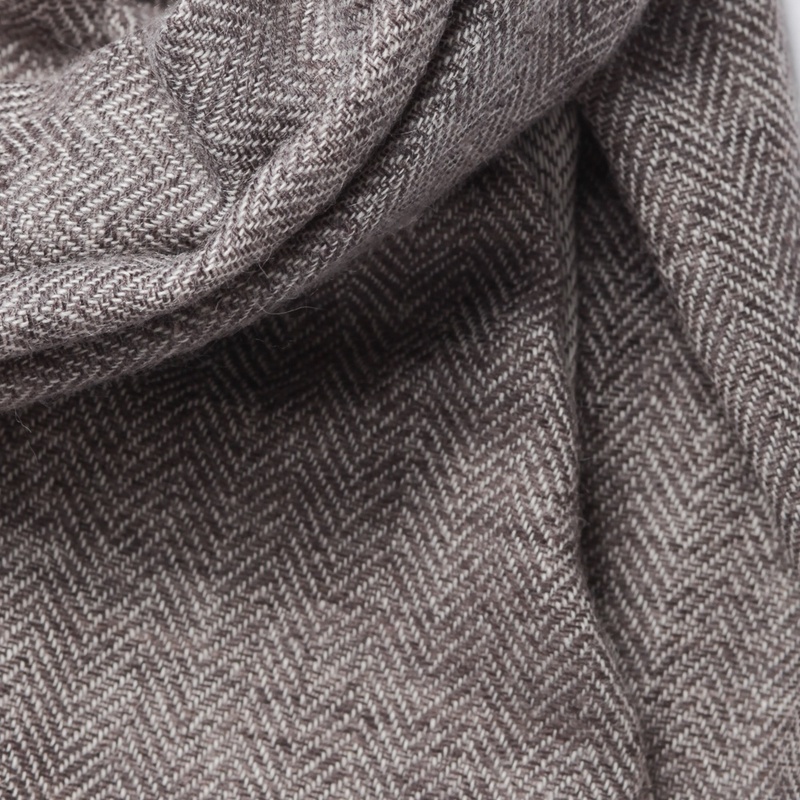 Charcoal grey is always a highly popular colour choice and the cashmere herringbone weave gives it an edge over a plain cashmere scarf. 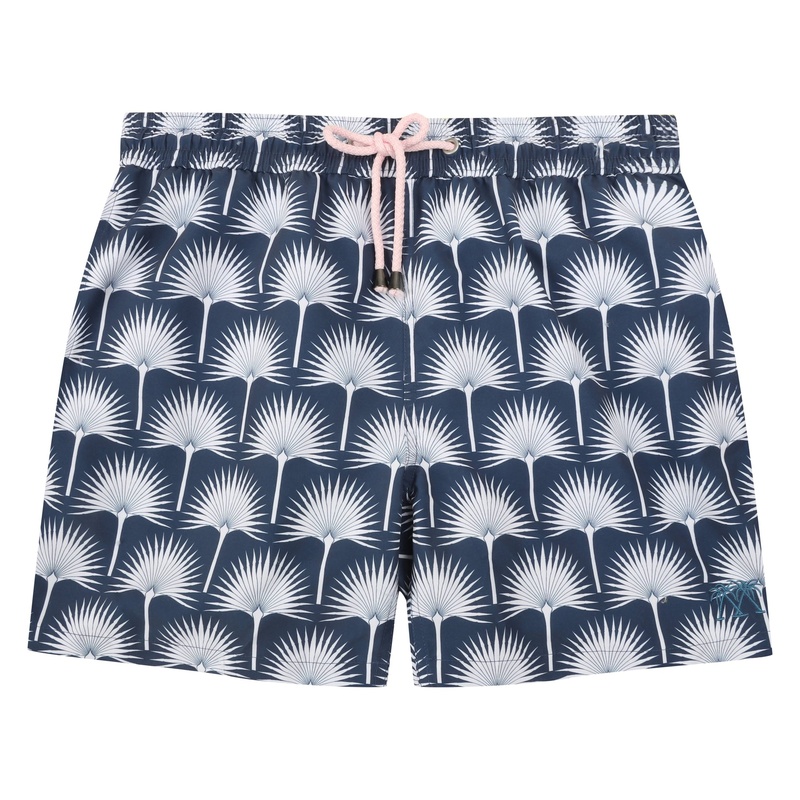 Its super soft with gently frayed contrast colour edges. 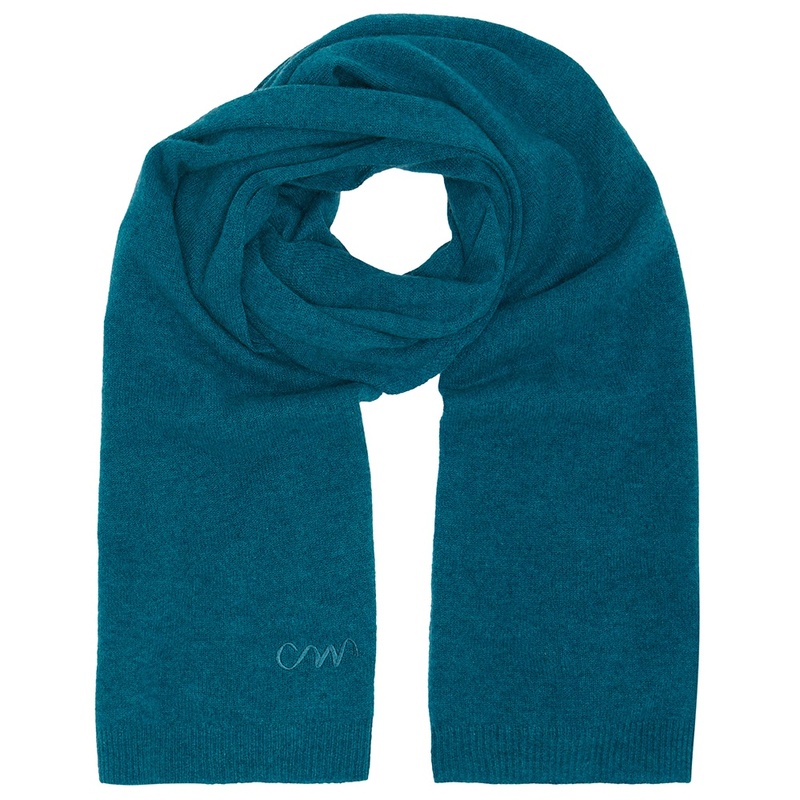 This scarf is available in blue. 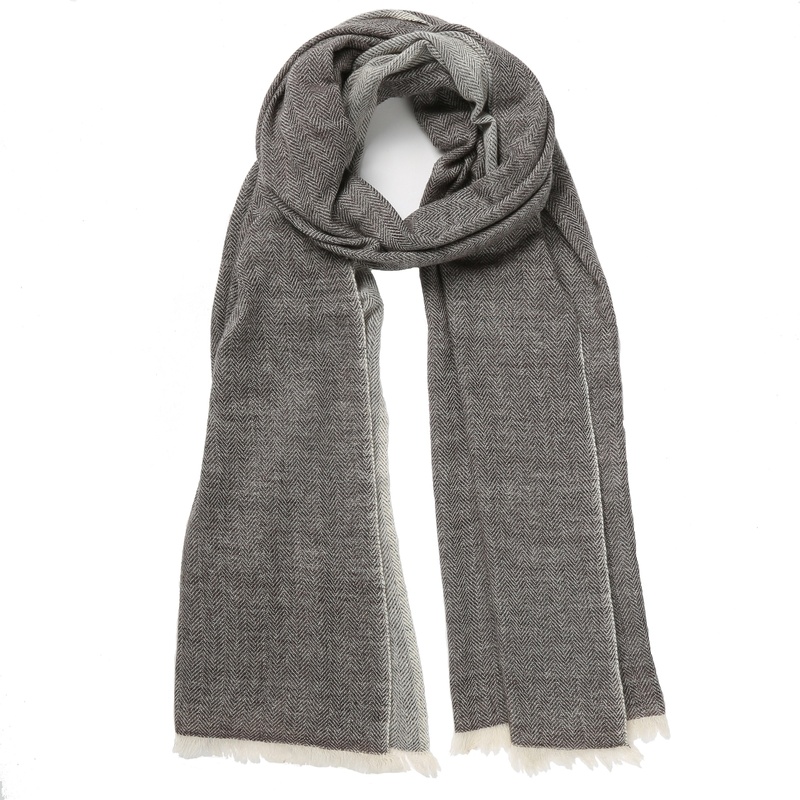 This men’s charcoal grey cashmere scarf has to be the perfect scarf and also an easy neutral colour to pair with everything. It’s just the right length so you can wrap it once and knot it, but not too wide which helps reduce bulk. 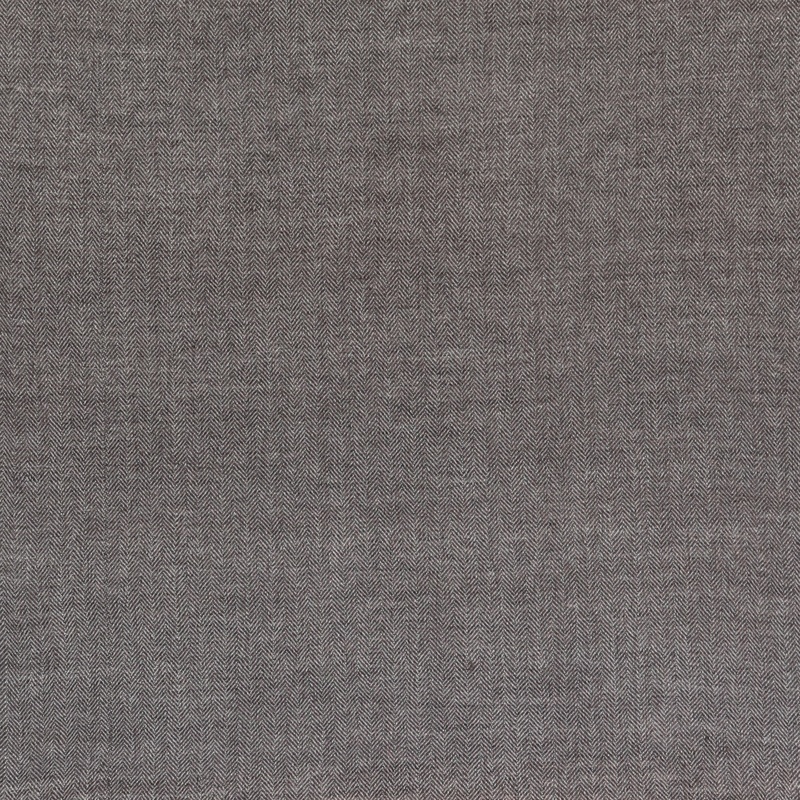 Charcoal grey is always a highly popular colour choice and the cashmere herringbone weave gives it an edge over a plain cashmere scarf. 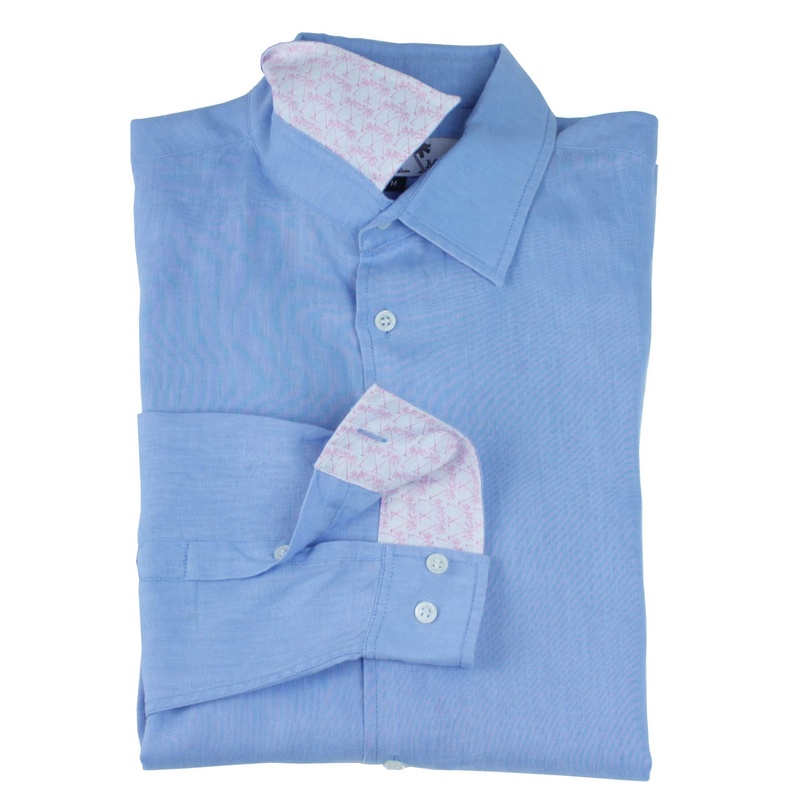 Its super soft with gently frayed contrast colour edges. 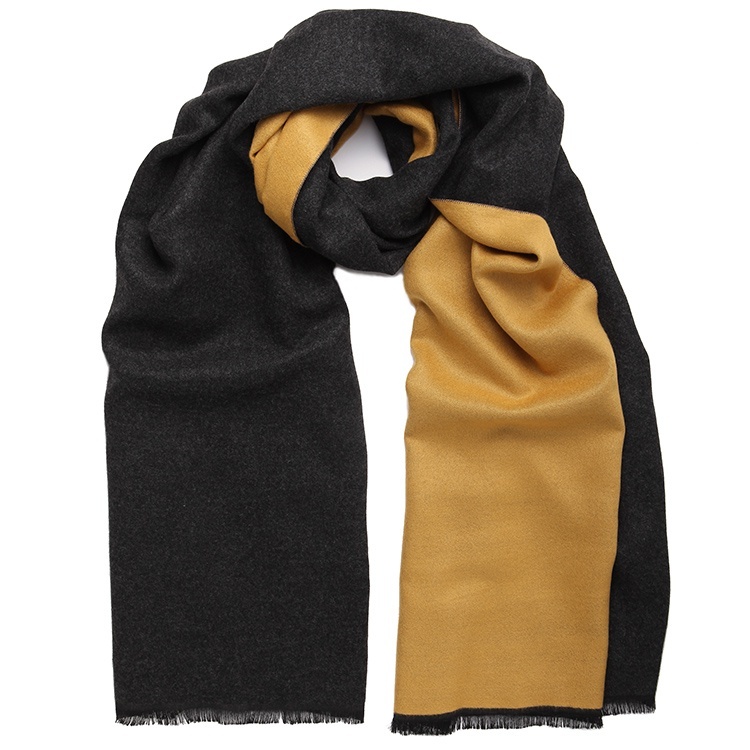 This men’s charcoal grey cashmere scarf is luxurious quality and once wrapped in the CW box it makes a great gift that anyone would be happy to receive. 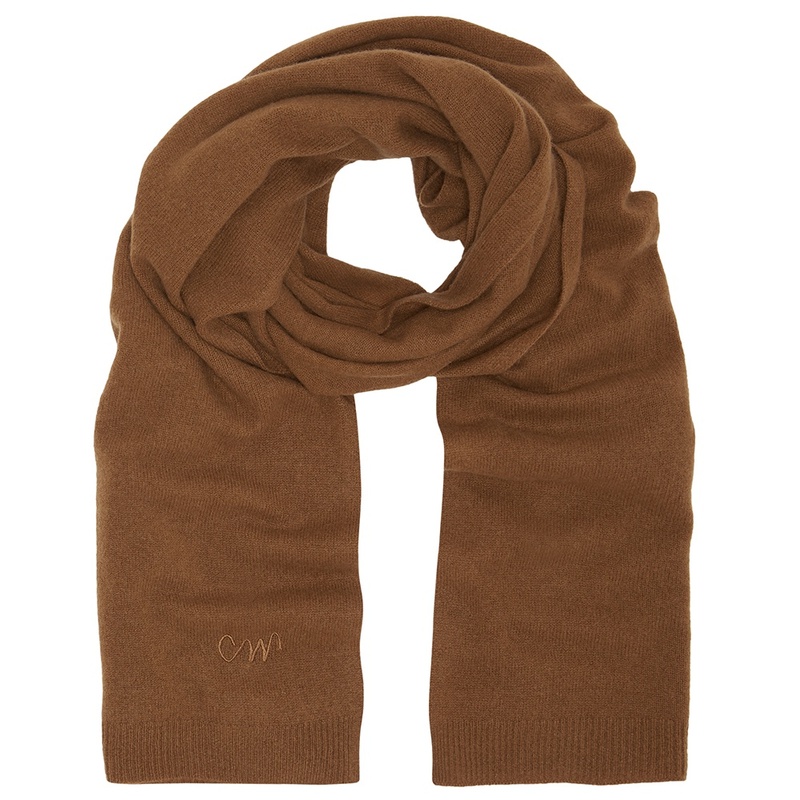 This scarf is available in navy. We have been stocking Beshlie since Sept 2016 and she is fast becoming one of our best selling designers. Beshlie studied fine art at Belles Artes in Spain and specialised in print making. She has travelled extensively in Asia and America in order to further her print making journey. Her belief in the importance of projects that support craft traditions and women’s handy work in countries such as India and South America are integral to her way of working. All orders arrive beautifully gift wrapped in our bespoke packaging. Each scarf is wrapped in tissue which is sealed with our black and white CW stickers. The scarf is then placed in a premium quality charcoal grey box which is then tied with our colourful grosgrain ribbon which has our Cleverly Wrapped logo printed on it. So the scarf is Cleverly Wrapped and so is the wearer! We have been stocking Beshlie since Sept 2016 and she is fast becoming one of our best selling designers. Beshlie studied fine art at Belles Artes in Spain and specialised in print making. She has travelled extensively in Asia and America in order to further her print making journey. Her belief in the importance of projects that support craft traditions and women’s hand work in countries such as India and South America are integral to her way of working.